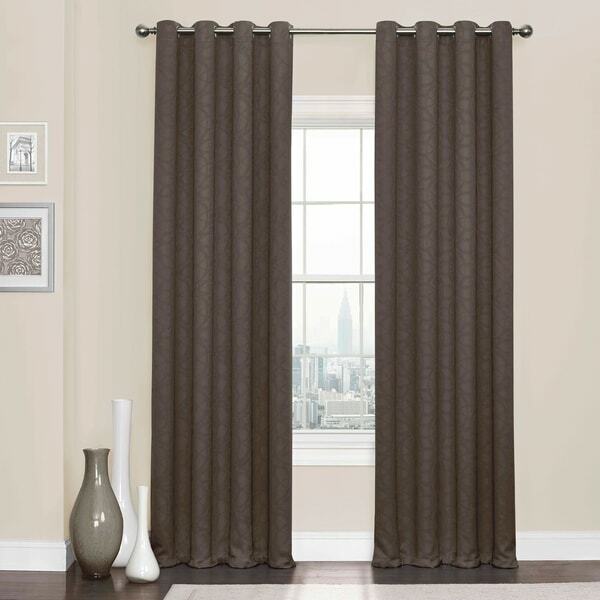 Find the perfect combination of fashion and function with Eclipse Kingston Blackout Curtains. Eclipse offers a complete line of functional curtains that provide privacy, manage light, reduce noise, and help with energy savings, without sacrificing the latest looks in window fashion. These beautiful panels offer blackout benefits and features an embossed circular geometric motif. Blackout yarns are intricately woven into the panel giving it a rich hand and luxurious drapability. Each panel measures 52 inches wide in your choice of 63, 84, 95, or 108 inches long. 1.65 inch brushed nickel grommets are recommended with a 1 inch rod for maximum movement. Curtain rod sold separately. 100% Polyester, unlined panel. Machine washable. Purchased these for my sons room. 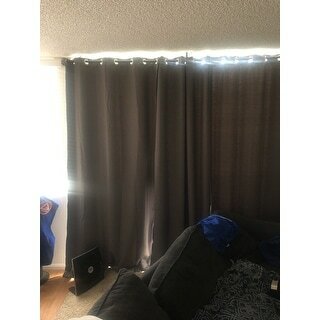 These are excellent curtains for the price. They are very well made. 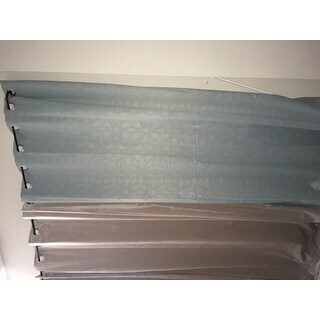 The material is a nice soft quality and they do keep the light out. Nice curtains for a low price! They do a good job at blocking out light, but not completely I prefer a little light to come in so you don't wake up in total darkness. The color is great, I got Spa and it is very true to the photos on the site. 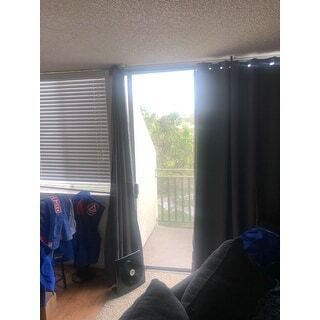 They are rather lightweight and don't do as good at preventing drafts as my heavier curtains, but other than that they're perfect! The curtains are great. They came out of the package wrinkled, but, the wrinkles have fallen out on their own. They are a high quality and I would recommend them to anyone. Excellent curtains, exactly what I was looking for. The design on them is subtle, they do a great job of blocking out light, but they also don't weigh much at all -- very high quality material. I am very pleased with these curtains. They were exactly what i needed. The texture and design of the curtains is very nice. I bought these for my son's apartment and he felt the design was contemporary and classic. I am actually going to buy a second pair for his music room. Oh, and they do keep out the light. Great Purchase!!! Bought these curtains for my son. Very nice quality and the color was true to the picture. Black out properties were great. Good value for the money! Wouldn’t hesitate to purchase again. They are great! Just what I needed for my family room. The don’t block out quite as much light as I had hoped but certainly significantly darken the room. The color and pattern are nice though for the price. I love them, they do exactly what they suppose to.